Mouse anti Human Factor VII antibody, clone RFF-VII/1 recognizes Factor VII, a serine protease found circulating in the blood. It initiates the extrinsic pathway of blood coagulation in conjunction with tissue factor. Tissue factor is found on the outside of blood vessels. When the vessels is damaged, tissue factor is exposed to the blood and circulating Factor VII. Once bound to tissue factor, Factor VII is activated by different proteases and converts Factor IX to IXa. Factor VII deficiency (FA7D) is a rare hereditary haemorrhagic disease. Symptoms range from mild to severe. Clone RFF-VII/1 is a strong inhibitor of Factor VII activity. It may be used to detect Factor VII in immunoassays in combination with Mouse anti Human Factor VII antibody, clone RFF-VII/2 (MCA4680) as a capture reagent. Takase, T. et al. (1988) Monoclonal antibodies to human factor VII: production of immunodepleted plasma for VII:C assays. J Clin Pathol. 41 (3): 342-5. Sarial, S. et al. 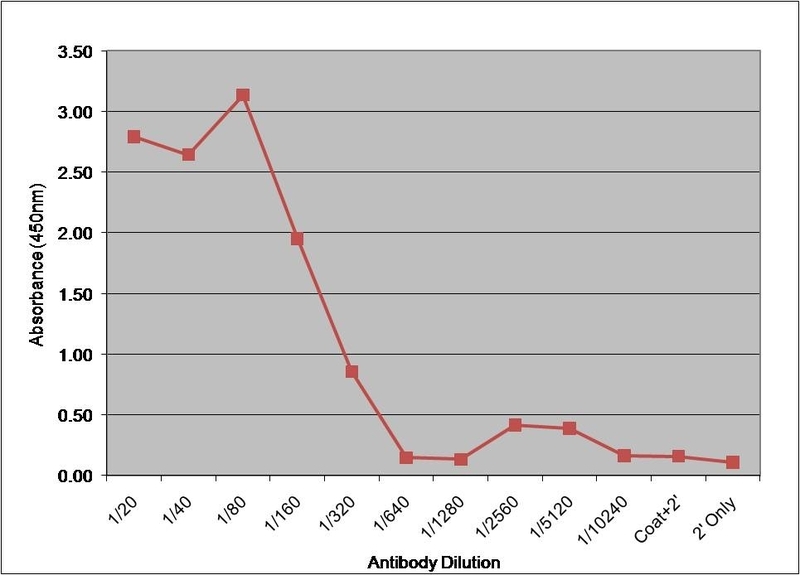 (2012) A high affinity monoclonal antibody recognizing the light chain of human coagulating factor VII. Hybridoma (Larchmt). 31 (6): 443-8.